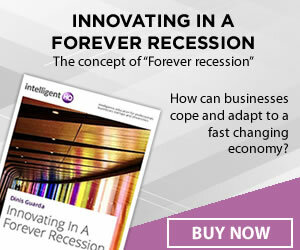 The nature of the free market, and the sheer number of factors that can affect the value of a nation’s currency, means that forex trading pairs will never be wholly predictable – but that hasn’t stopped the world’s leading traders, analysts and finance experts trying their hardest to get a handle on things. 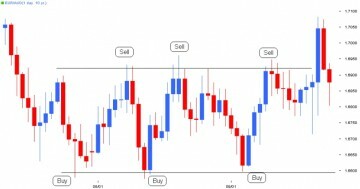 While predictability may not be assured, forex pair patterns can and do emerge. Because of the vast amounts of volume traded, extensive market analysis, and the extent of their coverage in the media, the major FX pairs are often easier to analyse, if not to predict, than others. As market conditions change, and their values rise and fall, major FX pairs are often range bound – that is, they move up and down in value between two value points, and never quite seem to break free from these constraints. This kind of loose predictability can be incredibly valuable to traders, and makes the major FX pairs ideal starting pairs for those looking to get into FX trading for the first time. However, not all currency pairs enjoy this kind of loosely predictable ebb and flow over the medium term. A whole variety of market conditions, be it more bad news from Europe, political uncertainty, interest rate changes, or simply a change in the overall appetite for risk within the markets, can affect the value of currency pairs. 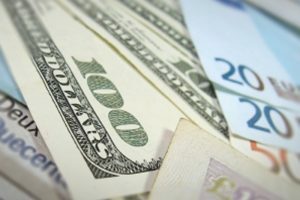 With the UK economy closely tied to Europe, and the unpredictable moves in GBP/USD in Q1, this pair provides a far smoother ride at the moment, especially with the limited trading ranges. Furthermore, this cross has shown excellent separation between ranges as well as consistent channel trading. While, the range of pips in this cross might not be substantial, those ongoing Eurozone troubles, notably of Italy and Cyprus, can be predicted to cause further volatility for this cross in coming months – with currency values reflecting either a flight to safety from Eurozone issues, or a calm when things improve. Look at the bigger picture with regard to this pair and you’ll see wide range trading at play. Take a closer look, and you’ll notice that the AUD/USD pair generally respects both falling and rising channels. It generally takes something quite extreme to mess up this pairing, making it one of the most traditionally predictable out there. Check out that actual turn in direction that occurred in March and you’ll see that it not only accompanied by a false break, but with a noticeable hammer pattern too. This behavior is pretty much expected to repeat on the topside in of the wide range in Q2. It may be a major FX pair, but it can be violently erratic at times – and Q1 2013 has been no exception. However, the pair’s recent drop below the weekly support lines has definitely helped it with regard to improving its respect for ranges. With Mark Carney taking over as governor of the Bank of England, this pair’s recently improved behaviour is predicted to continue further into the end of the quarter until we see how Carney delivers. While this pair is a popular one to trade, it certainly isn’t the easiest, so its showing up on this list may be a surprise to some. Traditionally exhibiting a volatile relationship, remember what I said earlier about volatility being predictable! It may have shown some turbulent behaviour in Q1 2013, thanks to the changes taking place within the Bank of Japan, but that uncertainty is beginning to smooth itself out now that the BOJ has settled on new leadership. 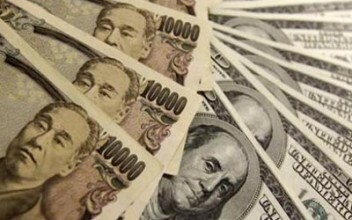 The new leadership lineup began making decisions in April, and it remains to be seen whether they can resume the yen’s downfall or if traders will be left disappointed with the yen pushed higher. This is an interesting one. While it showed some choppiness in Q1 2013, this pair tends to mark the range upon a breakout, and stay within this range for a period of time. You’ll also notice that it tends to find it hard to adjust to the high levels. Into Q2, the NZD has continued to respect ranges quite well. While its behaviour might not have been ideal recently, this still remains a relatively good pair because it still tends to mark the top, or bottom, of the range when a breakout occurs, and will usually stick to it for some time. The Swiss National Bank maintains a floor of 1.20 under the EUR/CHF, so any moves in EUR/USD therefore have direct consequences for the USD/CHF. With the recent turbulence to EUR/USD, you’d think this would make USD/CHF an equally tough pair to deal with, but not so. In fact, this pair behaves in a more predictable manner than most. In the event of a breakout, a new trading range tends to be found and stuck to. Ranges are determined pretty neatly with this pair, and its behaviour looks set to continue in the same vein so long as the Eurozone crisis continues in the same vein too – that is, remaining managed but unresolved. While both of these currencies used to trade in tandem, nowadays each has its own direction. An interesting pair to watch, they work well together, with long term limits and channels generally well respected, especially on the upside. The ‘Dragon’ may be traditionally predictable, but it certainly retains the power to get that pulse racing. Even if the trend is of it settling down into a safety zone, in this range breakouts can be quite effective, regardless of whether either currency is on good terms with the dollar. This major FX pair is incredibly volatile right now – and not in a predictable manner! Put simply, there’s just too much going on on both sides of the pond to determine any kind of solid outcomes here. With the Eurozone crisis ongoing, there’s sure to be plenty more action ahead, with the pair likely to suffer false breaks.